I love football. I grew up in Australia where cricket, rugby and aussie rules dominate the media, but there was always something about football (or soccer as we call it here) that made me want to get up in the middle of the night to watch the English Premier League and, every 4 years, to watch countries other than Australia compete in the World Cup. When we qualified for Germany in 2006 after a 32 year absence I decided if we qualified for 2010 I was going. 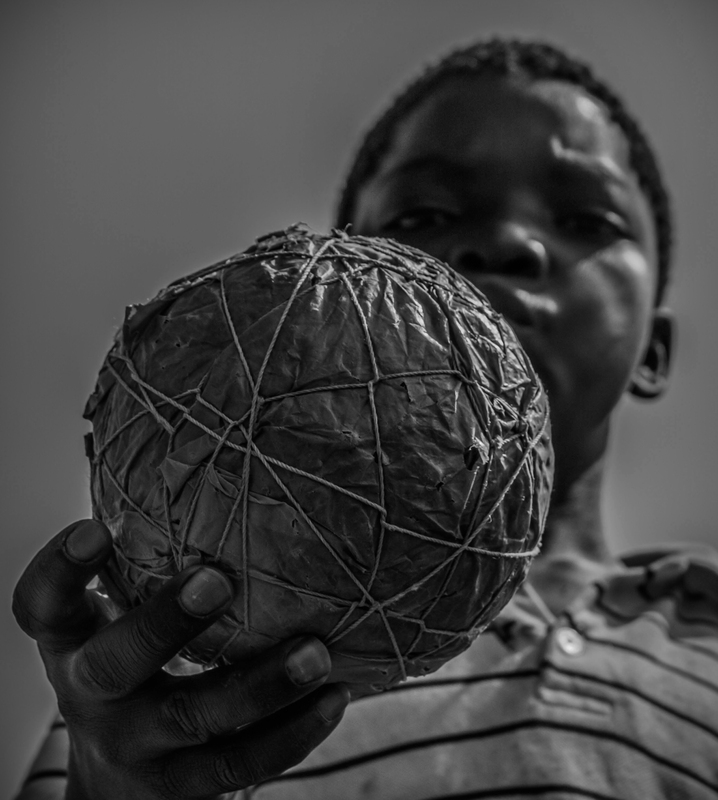 Travelling up through the African continent after the World Cup finished in South Africa you could see how this tournament and this game inspired people. Everyone was talking about it, shacks were constructed as community viewing houses, kids were writing the names of their favourite players on their ripped t-shirts in marker pen, drawing Nike ‘swooshes’ on their shoes – it felt like the whole continent had united to support Ghana when they were the sole African team left. It had left people with zeal and aspiration – it felt like anything was attainable in the spirit that was left hanging in the air. I’ve travelled to more than 80 countries and I can’t think of any where I didn’t see a football kicked around at some point. It’s infectious, addictive, and accessible. You can be rich or poor and play football, you just need an open patch of land, some plastic wrapped up in string and a few mates – you’ve got a game on. I was so set on going to Brazil this year. What were they saying: that football was ‘coming home’ to a nation that has produced some of the world’s most spectacular super stars and is synonymous with the game. But as news filtered out of the country of Brazilians protesting angrily against the millions being spent on stadiums while health care, education and public infrastructure remained rudimentary, the call to boycott infiltrated my conscience. In the months leading up to the event the government has started a clean up program forcibly removing squatters in areas surrounding stadiums, hauling crack addicts off the street into compulsory rehabilitation programs, and ‘pacifying’ a small fraction (so far 30 of around 600) favelas adjacent tourist areas in Rio. So perhaps football is not accessible to everybody? I understand safety concerns would be a high priority for the Brazilian Government but some of these measures seem transparently temporary – they are not addressing the root of the social problems plaguing the country’s poor or providing long term solutions. It feels a bit false going to experience Brazil when it has manipulated it’s backdrop, brushed over the poverty with a fresh lick of paint and bundled it’s oppressed into the back of a wagon to be deposited behind closed doors. While it’s hard to make a solid judgement when I’m not experiencing these situations first hand and information is sourced from conflicting responses, even if a bit of it is true then i’m not sure I want to support it. And then what of FIFA? As corruption scandals emerge ongoing and more than 900 migrant workers have already died building stadiums for the 2018 World Cup in Qatar, it feels like a few big men are getting very rich at the expense of the poor and the rest of the world is being taken along for the ride under false pretence. The last 10 days street kids from across the world have congregated in Rio de Janeiro to compete in the Street Child World Cup – a UK based organisation that works together with Save the Children to build protection and opportunities for kids living on the streets. The football tournament is complemented with arts and the opportunity for discussion and connection between kids from different countries living under strained conditions. While FIFA seems to have it’s head lost in the clouds and it’s morals tossed by the wayside, this organisation brings the game back to a grass roots level, acknowledging and supporting the people and communities that are being shunned by those in control of preparation for the main World Cup kickoff in June. While prestigious football clubs and academies may nurture talent, it is on the streets that it is born. Maybe it is this tournament I should be supporting.